I grew up on a farm in Queensland, moved to the big smoke in primary school and got a B App Sc. I’ve always been torn between art and science (I was told in high school I couldn’t ‘cross the streams’. While I worked my professional career, I flirted with drawing for comic books, writing articles for an Australian gaming magazine and group newsletters. My professional world crashed in 2012. I started creating things again – art, photography and writing in 2012. (It’s a long story.) Since then I’ve had stories published in the Australian Literature Review, anthologies and featured in a 2016 Adelaide Fringe exhibition. I now write full-time and can often be found plotting fantastical, piratical or airship adventures. I love dark chocolate and rarely refuse a cup of tea. Agatha Christie – meticulous clues, use of external point of view to keep the reader guessing as to the murderer. Arthur Conan Doyle’s classic Sherlock Holmes – inspired me to write Mrs Hudson Investigates, my first ‘paid’ short story published in an anthology. I have four books so far: ‘The Adventures of Viola Stewart ’is a trilogy of journals with steampunk short storiesand novellas chronicling the detectiving escapades of a young widow who discovers murder and mayhem. ‘Aunt Enid: Protector Extraordinaire’ is a paranormal/fantasy mystery novel set in modern day Adelaide. Aunt Enid is just your average seventy-something year old. She loves to cook, is a regular at bingo and spends hours in her garden, talking to her army of garden gnomes and fussing over the colour of her hydrangeas… When people start disappearing, her great niece, Sally, is drawn into a secret world and soon discovers her great aunt is not what she seems. One of my first fantasy short stories, Hunted, was featured as part of the ‘Trail of Tales’ installation for the 2016 Adelaide Fringe. ‘With a Twist of the Nib’ is my short story collection, with science fiction, fantasy and steampunk stories. And, of course, ‘The Case of the Murderous Migraine’ will be published in ‘Deadsteam’. If you want to sample some of my short stories, you can sign up for my newsletter and get a free copy of my first short story collection, ‘With A Twist of the Nib’, which has stories in fantasy, science fiction and steampunk genres. Most of my work is available in paperback and eBook format, from Amazon, Smashwords and iBook. If you prefer music, ‘The Gadgeteer’ is available as digital download via my webpage shop, or you can buy the entire album from The Littmus Steampunk Band’s Bandcamp page. I wrote The Case of the Murderous Migraine in that ‘hangover period’ following a five-day migraine, in 2013. I was going through a lot of work-related stress which led to me leaving the profession – a very dark time, produced a dark tale. I filed it away in that drawer all writers hide stories in. When the call went out for ‘Deadsteam’, I was reminded of ‘Murderous Migraine’. I was never quite happy with the original, so I rewrote it (with the benefit of four years of writing practice) to add extra twists and turns. I’m much happier with this version. The fog was thicker than usual, restricting visibility to no more than several paces — easier to slip along the streets unnoticed. A hint of moonlight peeked through a chink in the gloom. The patch of light was low. The hour was late. Puddles of revellers dribbled out of the taverns. Bawdy tunes oozed from the music halls. Laughter and drunken clamours echoed through the streets, making the revellers easier to avoid. They made things too complicated. Too messy. The quarry had already been selected. Occasionally, an upper-class gentleman would venture out for a taste of the street nightlife. Alone. They preferred not to draw attention, so sure they could look after themselves. Waiting was the secret to success. Wait long enough and one would stroll too close. A lone gong reverberated through the fog. Tonight the wait was longer. Too long. It was past midnight. The potentials were thinning out. Finally, there was movement up ahead in the fog… A shadow. “Hello, dearie. Fancy some?” A long white limb flashed, from under layers of skirts. She reeked of rose water and lavender and gin. Her hair was tousled; her red bodice partly unbuttoned and pulled low over one shoulder. She adjusted her bonnet and glanced up. Her grin faded. “Sorry.” She slinked back into the shadows. “I thought…” Her voice faded as the distance between them increased. The fog reclaimed the space. Comforting fog. Enclosing. Secretive. I’m currently working on a new steampunk adventure novel, something I started writing in 2013 but was side–tracked by real life and its consequences. I’ve worked through most of the dark times and am now ready to dive back into a more light-hearted adventure – with the usual conspiracies and secret societies trying to take over the Empire, of course! ‘The Department of Curiosities’ is a steampunk tale of adventure, a heroine, mad scientists, traitors and secrets. All for the good of the Empire. I usually write Victorian mysteries, steampunk and fantasy. Some of my Victorian mysteries flirt around the edges of dreadpunk, especially ‘Doctor Jack’ – a retelling of the Jack the Ripper mystery. Many of my steampunk stories include an alternative narrative on historic events. I originally wrote a much shorter version of ‘The Case of the Murderous Migraine’ as one of my very first (almost) submissions to an anthology magazine. It never quite happened. When Bryce sent out the call, I had my chance to resurrect Millie and Sir John to give them a story they deserve. I love reading but don’t get to read as much as I’d like these days. My favourite authors are Simon R Green, Jim Butcher, Gail Carriger, Agatha Christie, HG Wells and classic Sherlock Holmes adventures. I like contemporary authors but prefer fantasy and alternate history genres. That’s the age-old question, isn’t it! 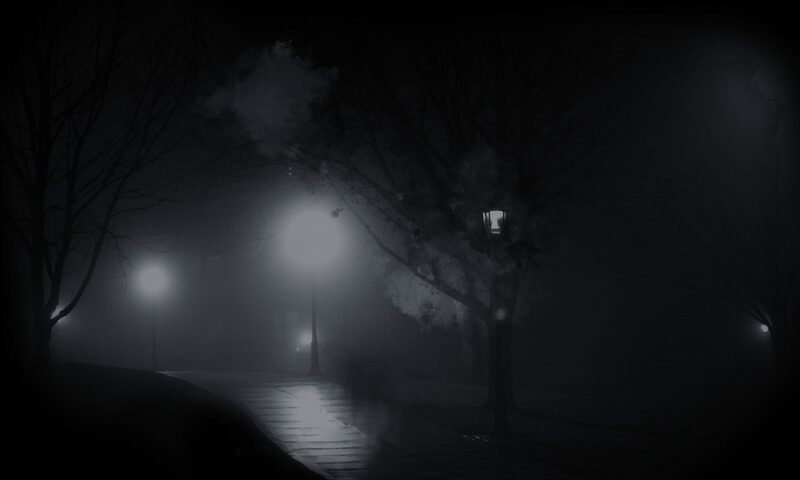 My first short story, An Eye for Detail, was a murder mystery – and my scream at the Universe (and into the dark streets of London). Poor Viola felt the backlash of years of work-related stress; her lost eye was me excising that part of my life. Doctor Jack (one of my favourite stories) was inspired after I watched a marathon of ‘Jack the Ripper’ documentaries, then I jumped in the car for school pick up and heard the song, ‘Behind Blue Eyes’ by The Who. Well, every bad guy thinks he’s the hero of his story… I wanted to explore this. Eye of the Beholder was influenced by the Victorian fascination with all things Egyptian, and The Illusioneer was written after I found a facsimile of ‘Illustrations from a Victorian book on Magic’ (1897) online. Illusioneer became a story of manipulation, trust, betrayal and conspiracies. The idea for ‘The Department of Curiosities’ sprang from a photo I saw online and shaped one of the characters in the book. My ideas seem to come out of the blue, usually sparked by an image or a bit of music that either creates a mood I want to explore or makes me wonder: ‘what if’. My brain is always asking: ‘what if’. I used to be a committed pantser. I get a feeling, an idea, or a picture in my head. From that springs two to three plot points. If I can find an ending, I’m off writing… (though the end often changes as the story forms). ‘Murderous Migraine’ is set in a hidden layer of my steampunk world I created for ‘The Adventures of Viola Stewart’ (Gaslamp Victorian steampunk mysteries) series. My current WIP, ‘The Department of Curiosities’ is set in the same world (five years earlier) and is a lighter steampunk tale of adventure, a heroine, mad scientists, traitors and secrets. All for the good of the Empire. I’ve written two other short stories set in the same shadowy under realm as Murderous Migraine. ‘Journal de la Lumiére’ was published as a bonus at the end of the paperback version of ‘Eye of the Beholder & Other Tales’ and Boys and Bones is in my short story collection, ‘With a Twist of the Nib’. Both hint at how the hidden supernaturals influence my steampunk world. I also have a stand-alone novel planned for the same shadow/under realm ‘series’. I must admit I’m a bit of a technophobe… I prefer paperbacks. I love the feel of the paper, the smell of old books. I have better comprehension and get a sense of where I am in the story with a physical book. (There are studies to back me up on this.) I love hardcovers but my wrist can’t support the weight. I also get migraines from backlit devices and find the non-back lit ones have poor contrast, so reading eBooks is a chore for me. I do take eBooks when travelling but find I just don’t read as much if that is my only option. I’m trying to build up my Australian steampunk author library. I’ve discovered an Australian steampunk author, Felicity Banks. I love her prose, and she sets her stories in Australia, something I plan to do more of. Check out my website first. All the info and links are there. If you would like to support an indie author, consider joining my Patreon team. I’ve also recently joined Instagram.